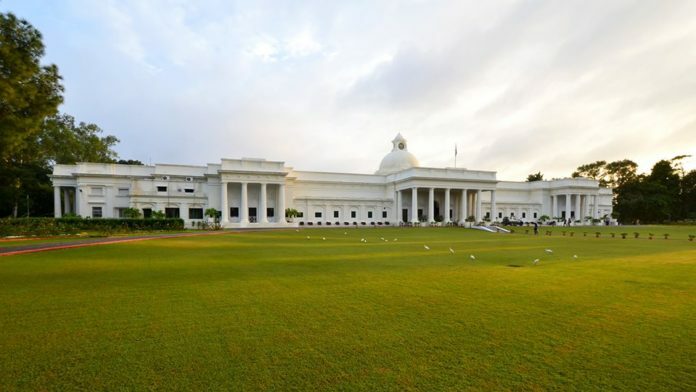 Roorkee: Indian Institute of Technology Roorkee has been ranked no. #6 among all Engineering institutes category in the India Rankings 2018 conducted by the National Institutional Ranking Framework (NIRF), Ministry of Human Resource Development, Government of India. In the overall category, the Institute has achieved #8 among all Institutes in the country, moving up one position from last year. In the newly added category of Architecture this year in NIRF, IIT Roorkee’s Department of Architecture and Planning has been ranked #2. The Institute has also been ranked #9 among top Management Institutes in the country. Shri. Prakash Javadekar, Honourable Minister of Human Resource Development, Govt of India, announced the results at New Delhi today (Tuesday, 3rd April 2018). Speaking about the rankings,Prof. Ajit K. Chaturvedi, Director, IIT Roorkee, said, “We are delighted to be one of only two institutions in the country which have been ranked in the top ten in four different categories. It is a matter of pride and happiness that our overall rank has improved from last year. We will continue to work with dedication to achieve even better results next year”. Department of Architecture and Planning at IIT Roorkeeimparts high quality education in the professional fields of Architecture and Planning and offers Bachelor of Architecture (B.Arch. ), Master of Architecture (M.Arch. ), Master of Urban and Rural Planning (MURP) and Ph.D. programmes. The B. Arch. programme was started in 1956. The department has the singular distinction of being the first in India in instituting a Masters Degree programme, M.Arch., in the year 1969-70 and later another one, MURP, in 1973-74. At present, about 50 Ph.D. scholars are pursuing research in the department. The department has facilities like Climatology Lab, Computer Lab and Computerized Design Studios equipped with the state-of-art equipment and software, an Art Lab and a Workshop. A prestigious lab on Net Zero Emissions, set up under the INDO-UK programme, is the latest addition in the department. It is also in the process of setting five new labs, which focus on – Planning, System Dynamics, Universal Accessibility, Civic Design and virtual reality. During the year 2017-18, the department won three citations and one special mention in the NASA Convention, 2017. It also won in the silver category in the National Design Competition, held under the umbrella of FoAID 2017. Three students went for the semester exchange, to reputed international schools of architecture. Five MHRD GIAN Courses were conducted by the faculty members, where national and international experts shared their experiences on important subjects. The department had the privilege of hosting a number of visitors from India and abroad. The department was also instrumental in organising and conducting varied workshops, and several national and international events. Many faculty members and research scholars visited a number of institutions in India and abroad and participated in seminars, symposia and Conferences. Faculty members of the department were also engaged in sponsored research and consultancy projects. They published a number of research papers in National and International Journals and Conference Proceedings and also published books and monographs. The department has added, during the year, more than 300 books in the departmental library, upgraded studios with the improved drafting tables, air conditioners and LCD projection systems. The construction yard has been upgraded and the departmental lawns have been rekindled. Besides, the entire department was made wi-fi enabled, and it is constantly upgrading its infrastructure to suit the needs of students, research scholars and faculty members.